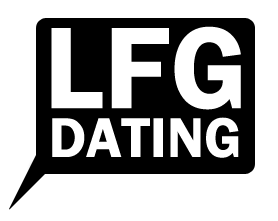 There are many imitations, but LFG Dating is truly the only legitimate Gamer Dating site on the Internet, period. (Technically that was two periods) Only at LFG do stereotypes get checked at the virtual door, as finding love for all of our members is our number one, and only priority. We provide top notch security for all of your personal information via 256-bit, Level 3 SSL Security, and we offer a completely homemade, unique matching system and algorithm that you will not find anywhere else; it’s not off the shelf like our so-called competition, and is only yet another reason that sets LFG apart as the number one gamer dating site on the planet. We are approaching the end of our beta phase, and we are thrilled to open up some new features that will further cement LFG as the standard bearer for the gamer dating industry. From all of us here behind the curtain at LFG Dating, welcome, and we hope you enjoy the service! Register for free today!